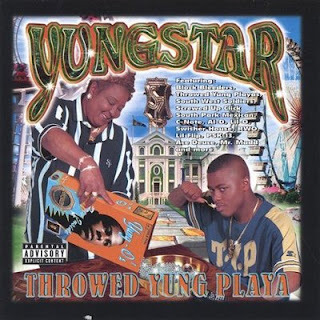 Yungstar is a rapper from the southwest side of Houston, TX. He has been rapping since the age of ten and he was also a member of the Screwed Up Click. He is known for his tongue flipping rhymes and fast paced freestyles which he recorded with the legendary DJ Screw. This is his debut album and its also the original version which was released in 1999 on Straight Profit Records. Production is done by Sean Lee, Slack, Ron Forest, Jhiame and Craig Bird. The beats can simply be described as Texas funk. They contain some solid samples and banging bass lines. Yungstar and the Straight Profit Block Bleeders take advantage of every track and they use their trademark rhyme schemes all through out. Almost every rapper from the southwest side is featuring on this record. Guest appearances are made by Z-Ro, Dat Boy Grace, L.O.S., Wood of the Half Dead Organization, C-Nile The Golden Child, 2 Low, Lil' Flex, Al-D, C-Note of the Botany Boys, Lil' O, T-Pop, Ace Deuce, Papa Reu, South Park Mexican, PSK-13, Lil' Flip, R.W.O., Solo D, Silkk Breeze, Deep Threat, Black 1, Trey-D, J-Mac, Den Den and Jasmine. 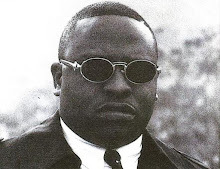 The album also contains a seventeen minute freestyle and it is known as the Straight Profit version of the infamous June 27th, which was originally created by DJ Screw. Overall its a wonderful debut album that jump started Yungstar's career and it managed to sell well over 40,000 copies. It was later picked up by Epic Records and re-released in a revised form in 2000. Very solid debut effort from Yungstar. I download it again since I had this in 192kbps. Thanks a lot, QDawg! Now I got myself OG 1st press of this version. Dope album from start to finish.